This light is a simple yet very popular model. 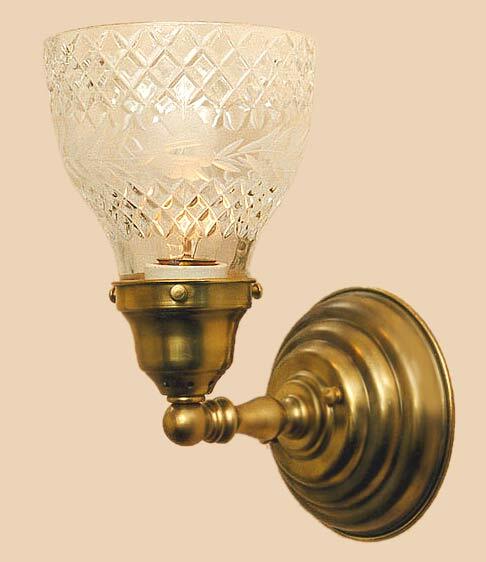 Shown in antique brass with custom crystal cut glass. Mount it up or down as your design taste is suited. Up next, the matching two lighting version. Width 5 In. / Projection 7 In. / Depth 9 In.